Joseline was selected as a GOJoven Fellow when she was 22 years old and a journalism student at San Carlos University in Guatemala. She was recently recognized as one of BBC’s Top 100 Women in 2018 for her work with the GOJoven Guatemala Association. 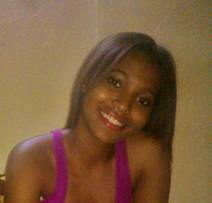 Joseline has participated in the youth movement for over 5 years, working on issues of Sexual and Reproductive Rights and helping to train adolescents, youth and teachers from various departments. From her experience in advocacy, she has worked closely with the Ministries of Health and Education in the implementation of Integral Education in Sexuality in community, national and regional spaces, and also lobbied the Congress of the Republic for the approval of the Guatemalan Youth Law initiative. After graduating as a GOJoven Guatemala Fellow in 2016, she went on to serve as co-leader for a project working across twelve municipalities for the socialization of legal reforms establishing the minimum age for marriage in the country as 18 years old. 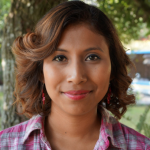 In 2018, she assumed the role of Advocacy Coordinator for GOJoven Guatemala, where she leads the community political advocacy process to coordinate with municipal authorities, managers, community leaders and civil society for the prevention of early unions in the municipalities of San Martín, Jilotepéque, Chimaltenango, and Puerto Barrios, Izabal.